They are gorgeous visually stunning little plants are really trending need very minimal care to be healthy, kokedama are great because they hang and therefore take up less space than the usual houseplant. 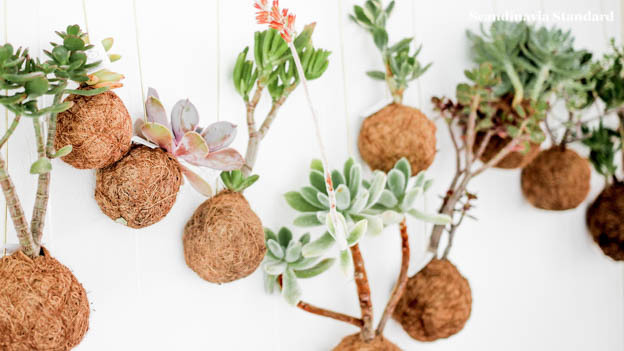 But what is a Kokedama? It is a form of Japanese garden art that is centuries old and tied into the practice of bonsai. 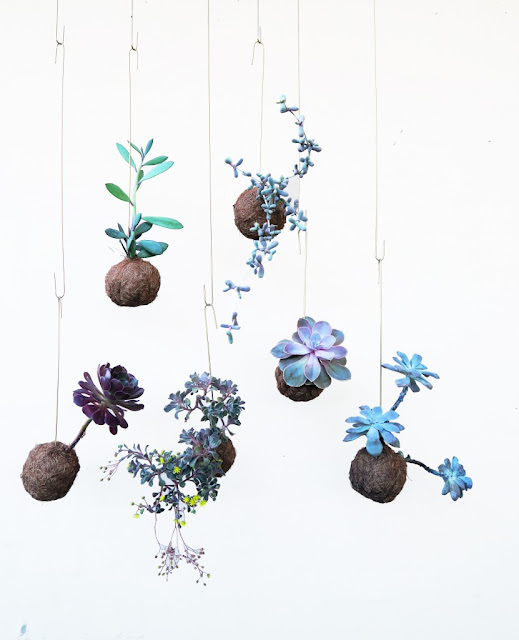 It is an accent to that mode of plant display where a moss ball is the focal and supporting point for a sculpted tree or plant. 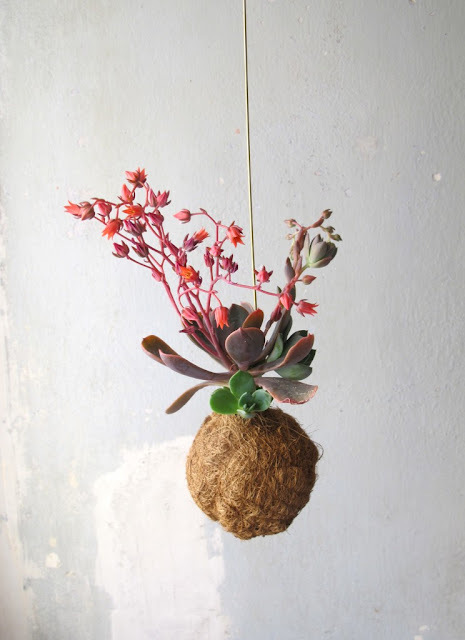 The moss ball is fixed to a platform or suspended from string with the plant growing out from the sphere. Kaja Skytte, the architect-turned Kokdama expert in Copenhagen, first began making the plants as an installation for designer Anne Black in 2014. 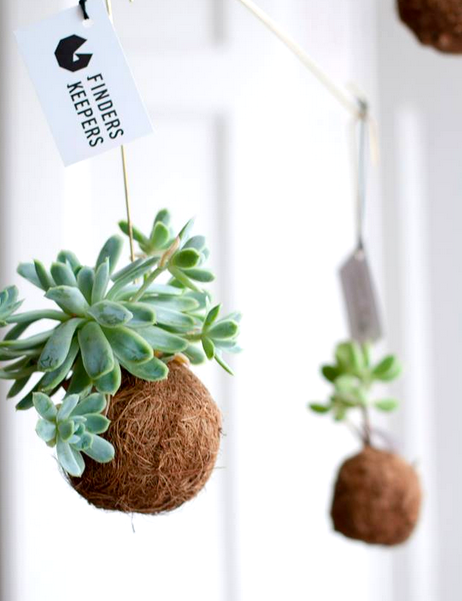 When friends began asking if they could purchase them, Kaja saw an opportunity and her green business Planteplaneter was born. “They have these small personalities. 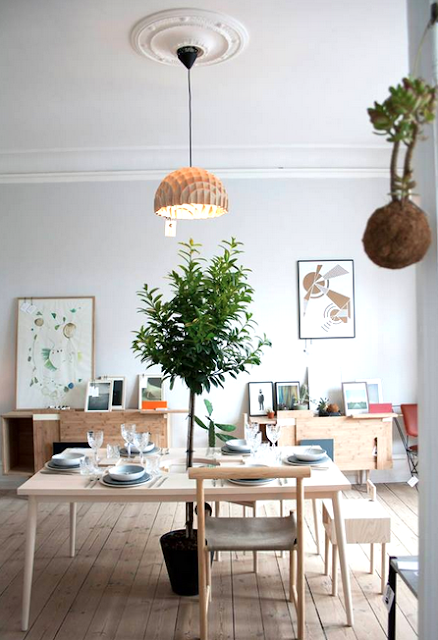 And they make people look at something so conventional – the house plant – in a new way. I think that’s exciting.” And you ?